One of the best ways to unwind is with aromatherapy oils and a long bath or shower….it’s just so relaxing. 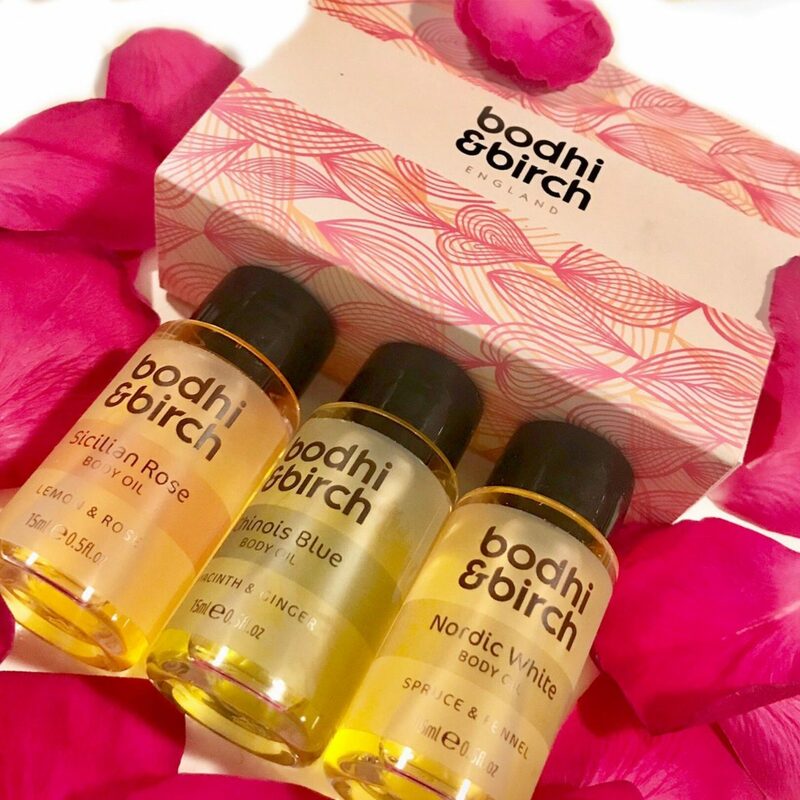 We are loving this perfect trio of oils from Bodhi & Birch, perfect for travelling when you just can’t decide which fragrance combination to pack. Nordic White is a fresh smelling blend of Spruce and Fennel and is a Wow favourite! Perfect for when you need a boost. Sicilian Rose is a luxe blend of Rose and Lemon, great for unwinding and relaxing. Chinois Blue blends Hyacinth and Ginger for a powerfully aromatic bathing experience. Each of these silky and deeply moisturising oils has specific essential oils and skin nourishing omega 3 6 9’s. You don’t need to use a lot of the oil to get enveloped in the gorgeous scent, which means that these little bottles last quite a while. Pour a capful into your bath and enjoy the gorgeous scent as you relax. It’s also suggested that you can massage the product into the skin before showering (which is certainly easier than trying to use it IN the shower, I can tell you…) They’re lovely and nourishing on the skin. All the products are made here in England, formulated without using harsh synthetic, but with high performance. Described as ‘eco-luxury’, their products are organic and natural designed to awaken your skin and senses. Just Exhale with Kiss the Moon Dream Bedtime Bath Salts! 1,000 Roses Beauty Elixir 1 from Kypris? Yes please!